Author Michael Arceneaux discusses the danger of media platforms legitimizing former Starbucks CEO Howard Schultz’s potential presidential run solely because he is a rich white man—just as they did with now-President Trump. 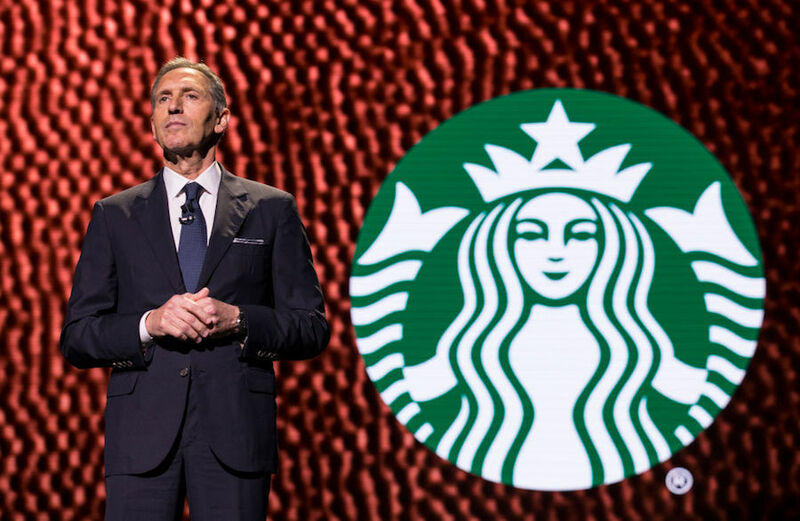 If the intent behind CNN Town Hall with Howard Schultz on February 12th was to assuage fears that the former Starbucks CEO’s potential presidential bid in 2020 is just an empty vanity project, the mission was literally doomed from the start. In the opening question, Schultz was directly asked how he differs from Donald Trump, a political novice who cited his experience as a private businessman to prove his qualifications for serving as head of the federal government in the most powerful country on the planet. “I’m not coming into this thinking about comparing myself to Donald Trump,” Schultz answered. How he was able to say this with a straight face and without spurring wild laughter throughout the audience is beyond me. Schultz seems far more motivated by Trump’s recent ascension from failed businessman, TV game show host, and gossiping thot to President of the United States of America than by anything else. Sure, Schultz displayed a better grasp of the English language than Trump ever did on any CNN campaign-themed programming, but he does share Trump’s habit of bullshitting his way through questions. When Schultz was asked many direct questions throughout the night, he danced around details like his life depended on it and continued many of the antics that have gotten him cussed out both online and offline. During the town hall, he bemoaned the Democratic Party and the GOP for purportedly playing to the fringes of their bases—which is a crock and a false equivalence. You may not agree with Democratic ideology, but it is not on par with the current state of the Republican Party, a political group largely centered on repression, racism, and making rich people’s lives even more comfortable than they already are. Regardless, if your position is that both parties are broken and that you, Howard Schultz, are seemingly the answer to that problem, then introducing actual policy differences would be helpful in distinguishing yourself as an independent, no? Schultz followed that same pattern when discussing the proposed Green New Deal. He found it “unrealistic,” but he didn’t offer any alternative. Same for Obamacare, which he supports, but argued needs to be “fixed.” How would he fix it? Not sure! And no, those “three principles” he mentioned don’t count. That’s not a plan; that’s basically the political equivalent of a meaningless inspirational word meme on Instagram. On guns, Schultz said, “Now the far right once again does not want to do anything on the issue. The far left wants to do everything possible to remove guns completely. I am in the middle.” And what is the middle? Who knows! Schultz’s banal response garnered a justifiably tense reaction from the father of a Parkland shooting victim. @HowardSchultz, tomorrow is one year since my daughtger was killed. Why would you stupidly put yourself in this debate and claim people like me want to remove guns and call us far left for wanting to reduce 40,000 gun deaths per year. Do me a favor, for this week, shut up!!! Well, we can start by not saying things like, “We are a country of immigrants,” Howard Schultz—given the descendants of African slaves who certainly didn’t venture over here by their own volition. In any event, Schultz does indeed see color. He noted the projects and the “very diverse background” that encompasses for a reason. Therein lies much of the gist of Howard Schultz and his proposed candidacy. When folks like him tout being “socially liberal but fiscally conservative,” it loosely translates to I’m not a bigot, but I also don’t want to be taxed to offset the perils of bigotry that are ingrained in our society. That’s literally his main gripe about the Democrats: He doesn’t want to be taxed more than he already is, but he doesn’t want to associate himself with the varying levels of prejudice stenching up the Republican Party, either. Poor little billionaire that he can’t find a political home to his liking, but is that a reason to run for president? Schultz has a right to run for president as an adult over the age of 35, but based on his performance during the CNN Town Hall along with previous interviews, he has yet to establish reasons for why anyone ought to take him seriously. Instead, all we got was proof that even if someone is grossly unqualified for the presidency, select media outlets will lavish him with attention and legitimize his egotistical aspirations simply because he is a white male billionaire. We learned that lesson in 2016 already. It boggles the mind why some of us are rushing to repeat history.